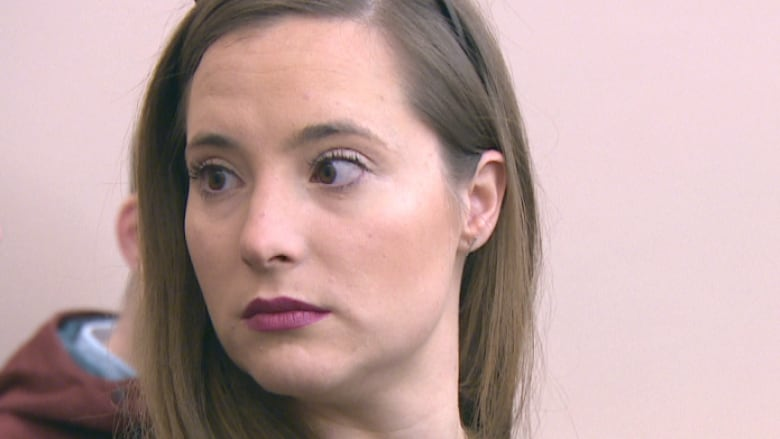 A provincial court judge in St. John's has ruled it could be illegal to shout a sexist slur at female reporters, but not in the case of what happened to NTV reporter Heather Gillis last year outside the city dump. It was never a question of whether Justin Penton hurled the words at Gillis while she was interviewing St. John's Mayor Danny Breen at the Robin Hood Bay waste management facility in April 2017. The issue for the judge was whether or not it constituted a crime in that context. Gillis reported she was "humiliated, embarrassed and disgusted" by the comments. Breen said it made him uncomfortable. But Judge Colin Flynn ruled an emotional disturbance does not meet the criteria for a charge of disturbing the peace. "Something more than emotional upset and a momentary interruption in a conversation is needed to constitute the criminal offence," Flynn wrote in his decision. Penton did not appear in court on Tuesday for the decision. Last April, Gillis had just finished interviewing Breen, who was a city councillor at the time, and was following up with a few off-camera questions. Penton drove by in his truck and yelled "F--k her in the p---y" on his way into the dump. The phrase is an internet meme made popular in a series of YouTube videos in 2014. Since then, reporters all over North America have been on the receiving end of men yelling it into their cameras. In this case, Penton omitted the word "right," but the judge used the phrases interchangeably in court. Fed up with it, Gillis waited for the truck to return and snapped a photo of the licence plate. 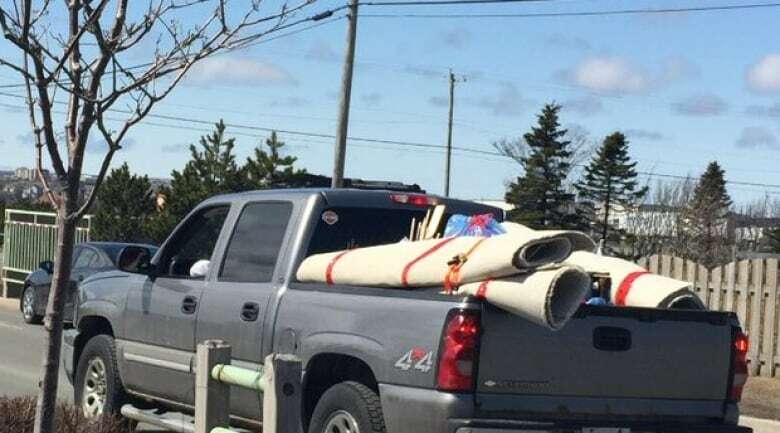 After she posted it on social media, Royal Newfoundland Constabulary Const. Joe Smyth reached out to her and said it may warrant criminal charges if she filed a complaint. After running the plate number, Smyth paid Penton a visit. He was immediately apologetic and admitted to yelling at Gillis, the court heard. However, Penton pleaded not guilty, with his lawyer arguing he did not cause a public disturbance. Prior cases have set a precedent, where an incident must disturb the "ordinary and customary" workings of a public place in order to be considered criminal, the judge's ruling reads. Flynn said Penton yelling the words at Gillis at the dump — which was closed that day — did not cause any interference with that "ordinary and customary use of the premises." When Flynn dismissed the charge, Gillis got up and walked out of the courtroom. On the way out, she could be heard saying, "This is ridiculous." Gillis was not available for an interview, but testified in court this was not the first time she had the phrase yelled at her. Breen also said it wasn't the first time he'd heard it yelled while being interviewed. On Tuesday, Breen took to Twitter to commend Gillis. "You should be proud of the stand you took for yourself and for your colleagues. Although the decision is disappointing, you have brought attention to this behaviour that unfortunately is far too common," the St. John's mayor tweeted. In his closing remarks, the judge said this doesn't mean people are free to yell it whenever they want and also suggested Canada could add emotional disturbance to the list of what constitutes a public disturbance. "My decision on the facts of this case does not mean that these noted words can be said to persons, in particular female reporters out doing their jobs, with impunity," Flynn said. "It very much depends on the circumstances and context of the case whether such words would attract criminal liability. On the facts of this case, they do not." Ryan Cooke works for CBC out of its bureau in St. John's.